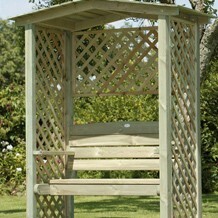 Available at our Cornwall branch Ex 150mm x 32mm Decking 3.6m & 4.8m Lengths Only £1.59 + Vat Per mtr. While stocks last, Other lengths are available. Decking is often the only practical economical solution to create a flat level area over uneven terrain, and turn an unusable site into a functional, pleasant and attractive feature. 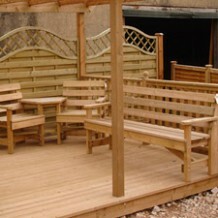 At Timber Store we provide a competitively priced range of decking to suit all tastes. 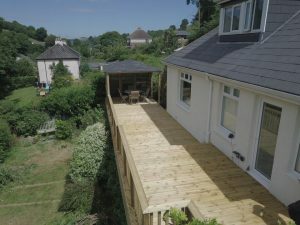 Our decking is made of preservative treated softwood, providing a minimum 15 years protection against insect attack and decay when not in ground contact. 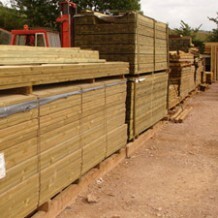 As with all our timber our decking comes from sustainable sources. 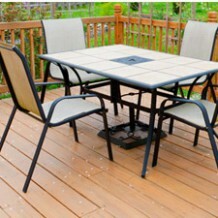 Decking is available in a variety of types, styles and sizes. 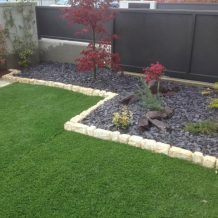 The ease of construction, versatility and flexibility allows an outdoor living or working area to be added economically to domestic or commercial properties alike, adding a pleasing yet functional area that extends your garden into your home and will not only be admired but should also add value to the property as well. 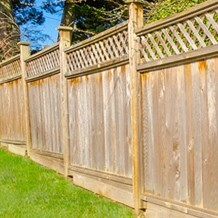 Our decking is machined from slow grown redwood for a better quality board. 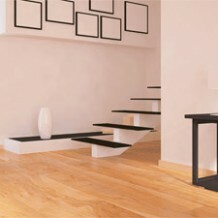 The size of our deck boards are Ex 125mm x 32mm which gives a finished size of 120mm x 32mm after machining. 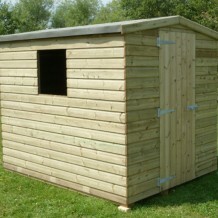 The lengths available from our stocks are 3.0m, 3.6m, 4.2m, 4.8m and 5.4m. 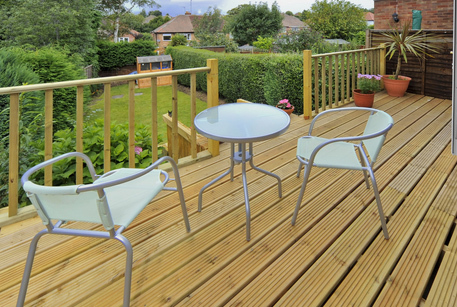 Whenever possible we are pleased to offer advice on planning your decking project, and our experienced staff will help work out the materials required to complete the project. Within our retail showrooms we stock a useful range of Decking Accessories including various Balustrade options, Deck Screws and a variety of Fixings and Tools to help you complete your project.